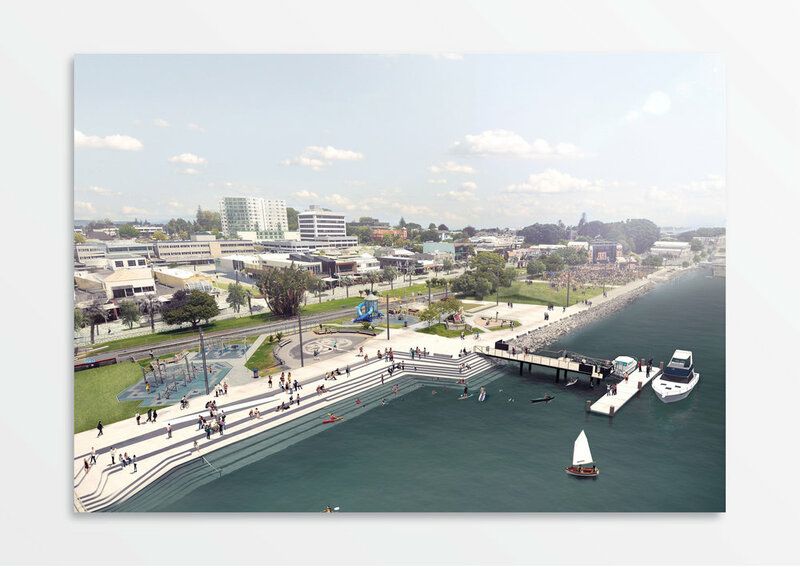 Tauranga City Council’s ‘Access to Water’ provides enhanced public access between the City Centre, the waterfront and the harbour. This is the first of a suite of projects proposed to transform the public realm of the city centre and waterfront over the next 3 years. 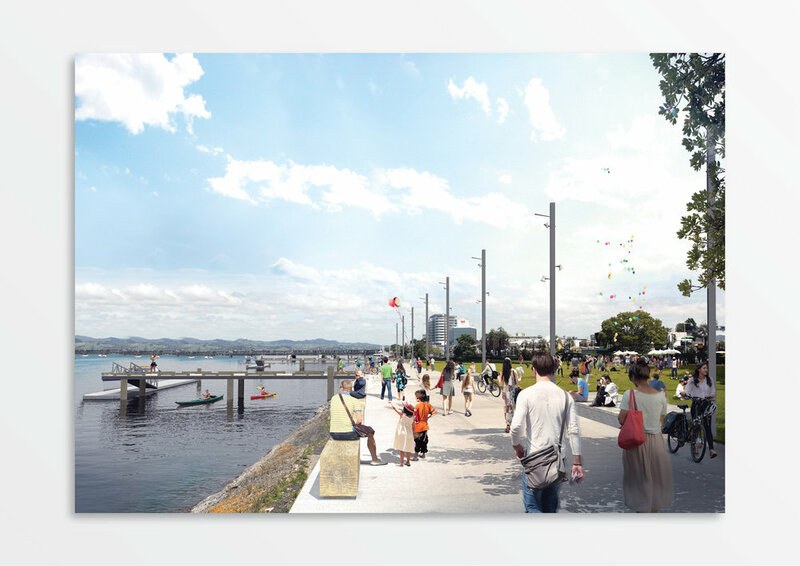 Phase One is located between the extension of Wharf Street (south) and the southern extent of the existing waterfront car park (north) and between the existing railway tracks (west) and sea wall (east).